Stayed at the Alex one night recently and had a great time. Good choice of cask ales (although you can never have enough!) and some of the best pub food I've had in ages. If you time it right you might even see a Vulcan flying past the garden. Four gushing reviews by people who have not reviewed on BITE before. A possible conspiracy? 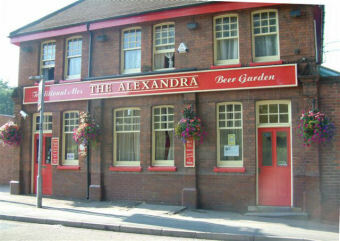 Have just eaten at the Alexander pub for the very first time. My husband and I have had the best risotto and hamburger we have ever eaten . We cant wait to try more of the menu. Food is freshly cooked and beautifully presented. Ignore the comments made before the new management at the end of January 2014. We were looking for a nice place to relax during our weekend off with my hubby and found this place. I must say it worked just perfectly! Our room was very nice and clean, comfy bed :) Yummy food and perfectly chilled beer... And all this for very good price :) The Italian lady who served us was extremely nice and helpful. Will be definitely back again! Thank you.